Relationships break down for an endless variety of reasons, but the path back to a healthy relationship requires understanding the underlying problem(s), identifying what each person needs and resolving conflicting needs. My use of personality theory, attachment theory, and brain research enables me to quickly understand both sides of the story and identify the underlying patterns and conflicts that need to be resolved to restore harmony to the relationship. I will help you to understand yourselves and each other so that you can relate in ways that heal old wounds and promote peace and joy in your relationship. Establishing healthy couple relationships in the face of obstacles such as: a disability, emotional disorders and addictions. Helping a child experiencing things such as: depression, anxiety, ADHD, adoption related problems, divorce, remarriage and blended families. What if my spouse won't come? 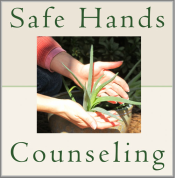 It is fairly common that only one partner is ready to come to counseling. For one reason or another, one partner does not feel comfortable with the idea. If this is your situation, we can use the free consultation to try to figure out what your partner would need in order to feel more comfortable with coming. If that fails then there is a lot we can do just the two of us. Often partners start feeling more comfortable with the idea of counseling when they see changes in you that they like.